What possesses a mother to kill her children? This is an age-old question to a scenario that unfortunately happens too often. Amanda Stott-Smith dropped her two children—four-year-old Eldon and seven-year-old Trinity—off the Sellwood Bridge in Portland, Oregon, and into the frigid waters of the Willamette River on May 23, 2009. Surprisingly, Trinity survived, but Eldon perished. Why did this happen? Was Amanda tired of caring for her children? Was she seeking revenge against her husband Jason who wanted to divorce her? Was she evil? Or had she just lost her mind? Many of these thoughts strike when a tragedy such as this occurs. 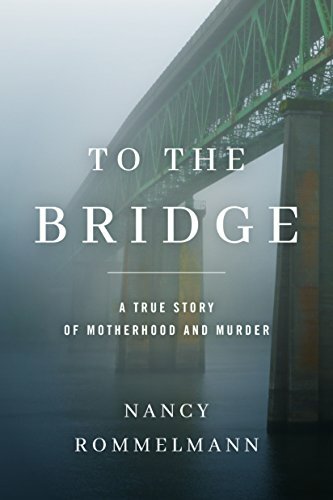 After Amanda was sentenced to 35 years in prison, author Nancy Rommelmann's quest for the truth is what prompted this book not only to satisfy her own curiosity, but to share with others what she learned. A mother murdering her child(ren) is not as cut and dried as one would expect. "An estimated five-hundred children are killed by their parents each year in the United States, according to homicide data compiled by the Federal Bureau of Investigation. This number has been static for decades. It is also unreliable and certainly low. The picture of parents killing their children is anathema to most people and makes us susceptible to seeing even the suspicious death of a child explained away: the infant died in her sleep, the child struck his head falling off the coffee table, and who are you to say it did not happen this way? Unless a filicide, the killing of a child by a parent of step-parent, is committed in public, we may not hear about it at all, the circumstances of anonymous people killing their kids too tawdry, too sad, and too somehow private to report on." "Filicide is divided into three classifications: neonaticide, for children killed within the first twenty-four hours of birth; infanticide, children killed during their first year of life; and filicide, a child from age one to any age. Younger children are killed most often, with 70 percent of filicide victims younger than six years old." These numbers are shocking and not widespread knowledge. How can something like this be explained? Amanda's story commences with the dissolution of her seven-year marriage. Though divorce is not unusual as statistics show, with Amanda and Jason, their union was totally dysfunctional from the start. In fact, both parties came from dysfunctional families, which combined to make a nasty mix. Jason wanted for nothing. Left a trust fund, he misused it greatly and his mother, Christine—also was his enabler—got the court order to freeze his money. When young, Jason succumbed to drugs, even distributed them, landing him in trouble with the law. With no sense of responsibility, he could not be counted on. He and Amanda got together when she was pregnant with another man's child after this man committed suicide. Amanda placed the baby up for adoption as she already had a son. Amanda's home life was not perfect, either. Her parents, straight-laced, pious Christians, believed women should be subservient to their husbands. Thus, Amanda fell right into Jason's hands. He constantly belittled her and verbally abused her, not to mention when he physically mistreated her. But she was smitten. Jason had money and bought her fine things—that is, until the cash flow stopped. She considered him her hero, and following her religious teachings, gave into him all the time. Their married life was far from harmonious, as many acquaintances and close friends attested to after the tragedy. As one friend stated: "She lived a classic abused life, more mental than physical. Jason controlled her like a communist; he controlled her like Nazi Germany. He didn't want her to go anywhere or do anything. She was a prisoner." Some believe Amanda killed her children as revenge for Jason wanting to leave, though she was far from happy with him. Jason was charismatic. He could "sell ice to Eskimos" as stated by a friend. His charm and his lies gained him acceptance from others, though he was troubled, and alcohol and booze only intensified the chaos. "After Amanda was sentenced, people offered information that both confirmed and countered any ideas of revenge. They'd seen horrible things happen to the children, to Jason, and to Amanda, yet had felt stymied to help or had once believed lies they no longer believed. Five people used the word 'toxic' to describe Jason and Amanda's marriage. It was as though two elements that should never have been mixed were mixed, with predictably volatile results." The deadly mix of Amanda's co-dependence and Jason's sociopathic nature had doom written all over their relationship from the beginning. Many said Amanda was a warm and loving parent, yet Jason's depravity could very well have been the catalyst which caused her to snap. It is assumed her motive was not for revenge, but that her children would be safe from Jason's abuse if they were dead. To the Bridge touches on sensitive subject matter. Where many are eager to condemn such a heinous crime, Rommelmann does not believe people are inherently evil. Written somewhat as a novel, the author veers from this case to other similar incidents. Her findings are concise and well developed with the addition of her own personal feelings. Differing points of view round out this tale. Maybe if those who sensed or visualized trouble between this couple had intervened, this would not have happened. Who knows? How can anyone get into another's mind? The empathy shown here to Amanda is touching while it offers the reader a chance to consider her thoughts and actions before condemning her. She now faces life behind bars. What is heartbreaking is that her incarceration is, in essence, her freedom, though she will be living in her own self-inflicted prison for the rest of her life.